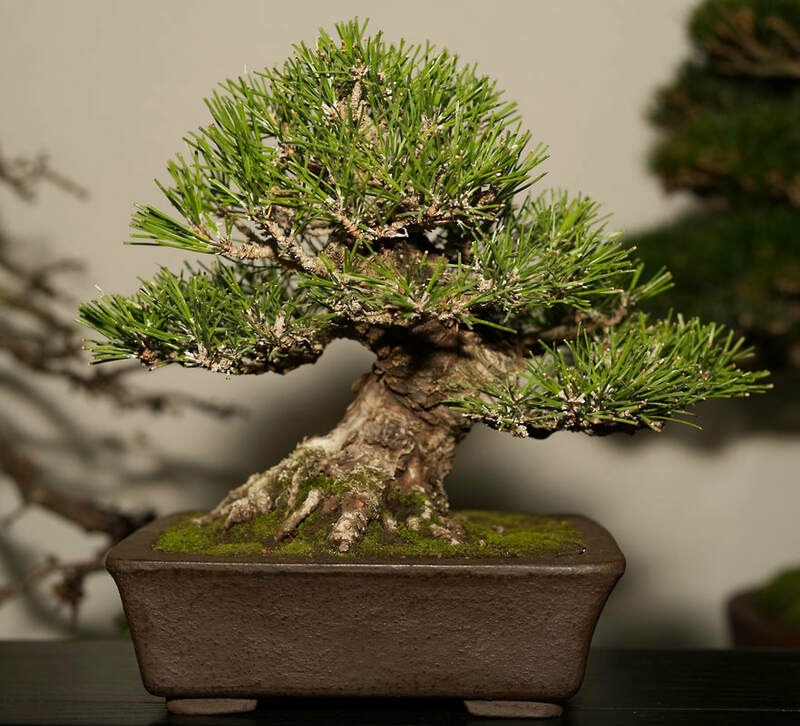 Shohin Japanese Black Pine in training. Re-potted Spring 2017 into this unglazed pot by Senshu, only student of Suzuki Syuzan. October 2018 - at Heathrow Bonsai Show.